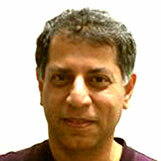 Dr. Dorab Patel PhD serves as Chief Technology Officer of MatchCraft, Inc. Dr. Patel founded MatchCraft, Inc. in 1998. Dr. Patel has more than fifteen years of experience in the software industry, both in technology and management. He served as a Vice President at Twin Sun, an international network integrator, developing new markets for network solutions and providing technology direction. At Twin Sun, he led a group that designed and implemented a large-scale Internet-based entertainment network for set-top boxes. He serves as Director of MatchCraft, Inc. He holds a doctorate in computer science from UCLA.